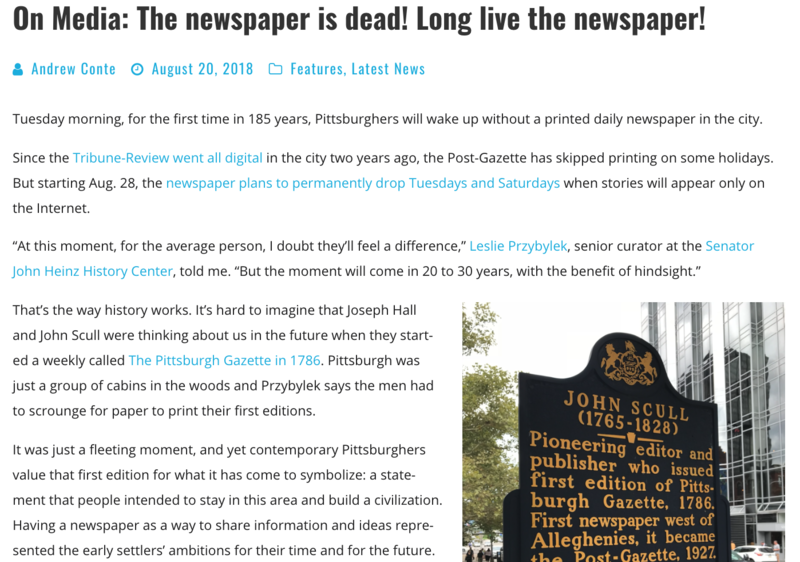 The clock is ticking on printed newspapers in Pittsburgh – but what will that actually mean for journalists and, more importantly, for readers? My latest NEXTpittsburgh column has dropped with some perspective – both historical and contemporary. If you like it, please take a moment to share it and/or write to me at PittsburghPublicEditor@gmail.com.